Opening Reception: Saturday, April 13th, 7:00 p.m.
Join Proteus Gowanus – a historical, creative multi-disciplinary space and exhibit hall in Gowanus — for Battle Ground, the third and last exhibit of the yearlong “Battle” theme. Battle Ground will explore the pathos of the 1776 Battle of Brooklyn, stimulating our collective memory, evoking parallels between past and present, while focusing on the complexity, moral ambiguity, and devastation of this important Revolutionary War confrontation (in which the British soundly defeated the Americans. Read the South Brooklyn Post story on the battle). Historical imagery, rendered meaningless by over-use and political manipulation, will be revived in new forms. The battle-haunting still rages around us at Proteus Gowanus. 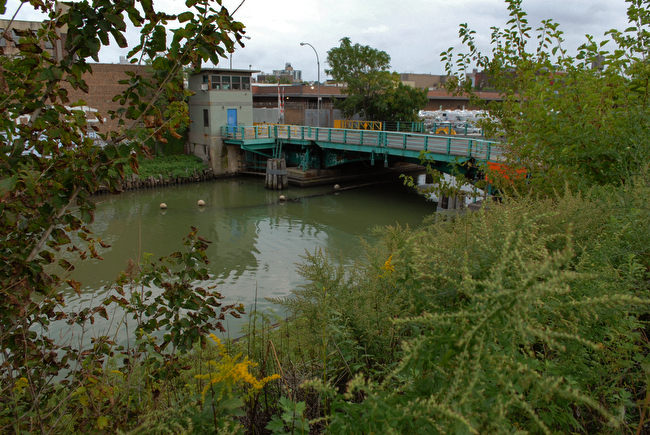 Its culminating events took place just feet from our gallery location, along what was then the Gowanus Creek. The fields and marshes of 1776 are now a post-industrial urban landscape, and the Gowanus Canal is a hotly contested Federal Superfund and development site. Battle Ground is curated by Sasha Chavchavadze with help from Robert Gould, Angela Kramer and Eva Melas. *Special thanks to the restaurant and bakery, Runner & Stone, which takes its name from tide mills that operated along the Gowanus Creek in the 18th century. Upcoming Battle Ground events include: “Dressed for Battle” a talk by fabric designer Janice Everettt on the legacy of Revolutionary clothing on contemporary fashion (May 3rd, 7:30 pm), and the performance “Retreat to Victory” by Suzanne, Louise and Robert Sullivan, author of My American Revolution, and performer Paul Benney (May 11th, 7:30 pm). The next Battle Pass Project installation will open at the Old Stone House on April 25th, and will run concurrently with Battle Ground at Proteus Gowanus. More information to follow. ATTLE GROUND Opening Reception: Saturday, April 13th, 7:00 p.m. Wine will be served with refreshments by Runner & Stone * Please join us for Battle Ground, the third and last exhibit of our yearlong Battle theme. Battle Ground will explore the pathos of the 1776 Battle of Brooklyn, stimulating our collective memory, evoking parallels between past and present, while focusing on the complexity, moral ambiguity, and devastation of this important Revolutionary War confrontation (in which the British soundly defeated the Americans). Historical imagery, rendered meaningless by over-use and political manipulation, will be revived in new forms. The battle-haunting still rages around us at Proteus Gowanus. Its culminating events took place just feet from our gallery location, along what was then the Gowanus Creek. The fields and marshes of 1776 are now a post-industrial urban landscape, and the Gowanus Canal is a hotly contested Federal Superfund and development site. Battle Ground is curated by Sasha Chavchavadze with help from Robert Gould, Angela Kramer and Eva Melas. Battle Ground participants include artists, educators, urban planners and writers: Paul Benney, Peter Bonner, Sasha Chavchavadze, Eymund Diegel, Robert Gould, Katarina Jerinic, Andrew Keating, Christina Kelly, V. Komar & A. Melamid, Angela Kramer, Robyn Love, Eva Melas, Duke Riley, Robert Sullivan *Special thanks to the restaurant and bakery, Runner & Stone, which takes its name from tide mills that operated along the Gowanus Creek in the 18th century. above image by Robert Gould ALSO WATCH FOR: Upcoming Battle Ground events include: “Dressed for Battle” a talk by fabric designer Janice Everettt on the legacy of Revolutionary clothing on contemporary fashion (May 3rd, 7:30 pm), and the performance “Retreat to Victory” by Suzanne, Louise and Robert Sullivan, author of My American Revolution, and performer Paul Benney (May 11th, 7:30 pm). The next Battle Pass Project installation will open at the Old Stone House on April 25th, and will run concurrently with Battle Ground at Proteus Gowanus. More information to follow.